Ctrl + A - Select all text (block). Ctrl + B - Thickens selected letters (Bold). Ctrl + C - Copy / copy (Copy). Ctrl + D - Select Font (Font). Ctrl + E - Center alignment. Ctrl + F - Search for Sentences (Find). Ctrl + G - Go to. Ctrl + H - Search for Sentences and Overlays (Find and Replace). Ctrl + I - Create Italic letters. Ctrl + J - Makes the text or text evenly left right / balanced (Justify). Ctrl + K - Entering the Link (Insert Hyperlink). Ctrl + L - Makes the text left flat (Left). Ctrl + M - Shifts the paragraph to the right. Ctrl + Shift + M - Shifts the placement of the paragraph to the left. Ctrl + N - Create a new file (New). Ctrl + O - Open file (Open). Ctrl + P - Print file command (Print). Ctrl + Q - Removes the settings that have been made. Ctrl + R - Make right. Ctrl + S - Save (Save). F12 - Save again with the same or different name (save as). Ctrl + T - Shifts the bottom tab to the right. Ctrl + Shift + T - Shifts the bottom tab to the left. Ctrl + U - Underline. Ctrl + V - Paste. Ctrl + W - Exits the file. Ctrl + X - Cut (Cut). Ctrl + Y - Clears the canceled command undo (Redo). Ctrl + Z - Cancel the previous command (Undo). Shift + Tab: Moves backward through options. 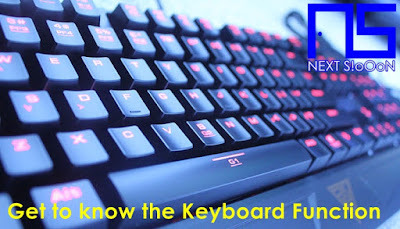 Keywords: Keyboard Key Functions, Secret Keyboard Key Combination, Take Action with Keyboard, Quick Command Keys with Keyboard, Collection of Keyboard Combination Keys with Benefits, Get to Know Keyboard Combination Keys, Know How to Run Commands Quickly through Keyboard, Secret to Keyboard, What is it Keyboard Combination Keys, Benefits of Keyboard Combination.